ARIMS is well-suited to the needs of Higher Institutions of learning such as Universities, Tertiary Institutions and Colleges to ensure that work gets done quickly and effectively. ARIMS is a graphical, modular, menu-driven and user-friendly system with multi-user capabilities. It runs on latest versions of Microsoft SQL Server and the .Net Platforms. 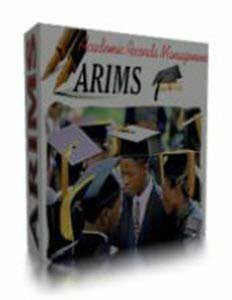 ARIMS captures, processes, maintains, archives student records (like bio data and marks) and produces all the standard reports for Academic Registrars in time. Manage student bio data, control students’ registrations and allows students to register for subjects outside the normal curriculum. This module is for handling accommodation such as hall allocations, hostel management, residence wardens and students check in and check out. This module deals with reports for the various modules. E.g. Reports concerning with Student’s Bio Data, Accommodation, Accounts, Results. Manages general settings (country and nationalities), Keeps track of student settings (subjects, qualifications and sponsorship), study and marks entries. Manages student applications including automatically assigning application numbers to applicants, admitting them based on merit, and course enrollment. ARIMS Lite is a light-weight version of ARIMS tailored to the needs of Nursery, Primary and Secondary Schools, contact us for more details.